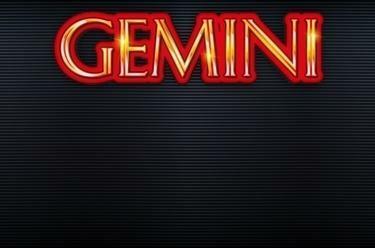 Play Gemini Twin online for free now! 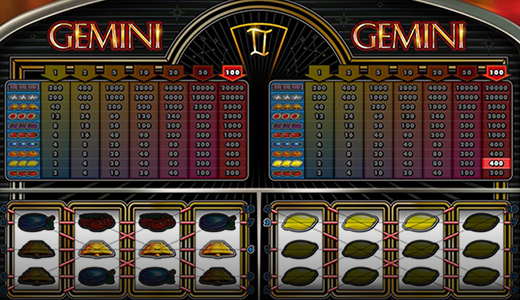 The slot Gemini Twin with 2 reel sets featuring 4 reels each with 10 fixed win lines promises oodles of gaming fun. The BAR and the Star symbol bring the most Twists to your player account. The aim in Gemini Twin is to line up 3 matching winning symbols on one of the win lines that run from left to right. The BAR and the Star symbol only appear together with fruit symbols. When any three symbols land on a line with three Star or BAR symbols you earn the respective win. An example: If a Cherry, a Lemon and a Plum appear with a BAR symbol in a winning combo you receive the BAR win! Gemini Twin features two reel sets that can be played either separately or simultaneously. The choice is yours! You're not seeing double – something wonderful is going on here: Gemini Twin comes with two reel sets. Of course you can take it easy and only play one reel set for starters. However, since you have two reel sets at your disposal, why not make the most of it? The more risk you take the better your chances for lucrative symbol combos!